Ready to throw a party? 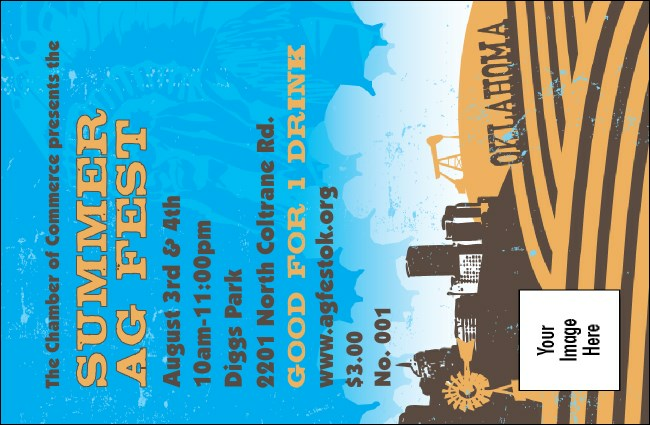 Make your guests happy and your waitstaff even happier with the Oklahoma Drink Ticket. Featuring the big blue skies and golden rolling field of wheat the state is known for, this is the right ticket for your local event! Make your event the talk of the state with an Oklahoma Event Kit from TicketPrinting.com.